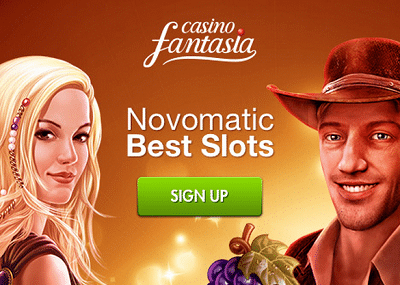 One of the best Novoline Casinos at all, the Casino Fantasia, has published three new Bonuses for its players. From now on they are able to boost their deposit with a 300% Bonus. Up to 580 $ in extra giveaways are possible, depends on the deposit amounts. 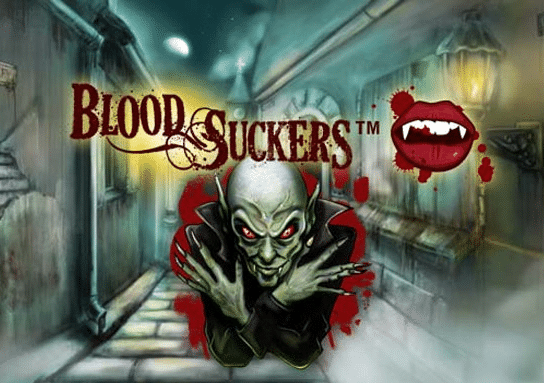 The bonus codes and the most important bonus conditions are written below, so feel free to use them and to play the fantastic range of Novoline Slots! For newcomers waits only for the registration a fantastic Welcome Bonus offer: Up to 500 $ free in deposit bonuses! 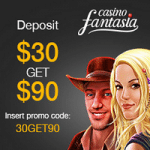 The first deposit in Casino Fantasia will be boost with a 100% Bonus up to 250 $ and the second one with 50% Bonus up to 500 $. We don’t have to mention, all the famous games by Novoline such as Book of Ra Deluxe, Dolphins Pearl or Pharaoh’s Gold, are available. In addition players can play Roulette, many table games and also Bingo.